What Shai Agassi learned from President Clinton, the rest was to figure out how to be successful. In the meantime, here are some things Shai Agassi at Better Place could learn from the Open Source movement. Shai Agassi and alternative energy and battery swapping system, Better Place have weathered the international electric car adventure for some time now when all the sudden he became famous for proposing a model to extend the range of electric cars by installing battery swapping stations. While the idea has much merit, at least on paper, actual reality is another thing. Call immaturity of a newly forming electric car market or the insolence of those who challenge conventions but Shai Agassi’s proposal gathered enough steam to secure funds from Israel, Denmark and a few other places. Best Advice. The automobile industry is also trying to figure out how to maintain financial health, some relevancy and still be profitable in this tight financial times. 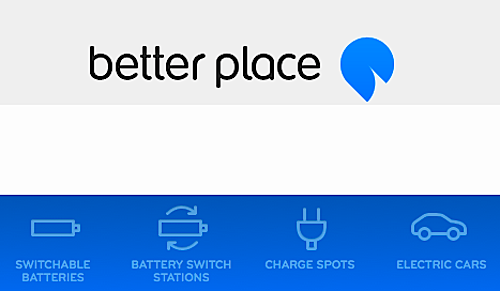 Over on the bleeding edge of electric car frontier, Better Place has had its shares of problems, as I highlighted in previous articles, including; Better Places Retracts From US and Australian Electric Vehicle Market. And the best advice Shai Agassi said he ever had? From Bill Clinton himself at a conference in 2006 after he shared his thoughts about converting Israel to electric mobility and selling electric vehicles together with their batteries for roughly $32,000. He tried to convince the President that drivers would be saving enough money on gasoline over 8-12 years to make their choice of an expensive car economically sensible, according to his LinkedIn post. President Clinton listened intensively then said: "By the time you will convince the rich folks in Israel to try it, then get the average folks in Israel to try it, then bring it to the US for our rich folks... the world will run out of time. You need to price your car so that an average Joe would prefer it over the kind of cars they buy today -- an 8-year-old used gasoline car, selling for less than $3,000. In fact, if you can give away your car for free, that's a sure way to succeed." The problem is how do give away a car and make money? Obviously the Open Source movement is a good place to start. By communally developing parts and segments, the greater whole of the group has access to a platform it can work on and adapt it to its market. Could Better Place take an example from the Open Source community? In the meantime, Better Place took a few steps back to focus on target it is already operating target in Israel and Denmark with its electric car battery swapping network.